Seems like our American neighbours are having more issues than before, in all areas, since Trump is their President. The latest in the news is that Net Neutrality is done for in the US as of early next month. The Federal Communication Commission’s rules protecting consumers from discriminatory behavior by ISPs are officially scheduled to come off the books on June 11th. Net Neutrality is, essentially, a set of regulations that prohibit internet service providers from treating traffic to different sites or apps in a discriminatory manner. All traffic is treated equally, no destinations are given preferential treatment, nor are they unfairly handicapped. 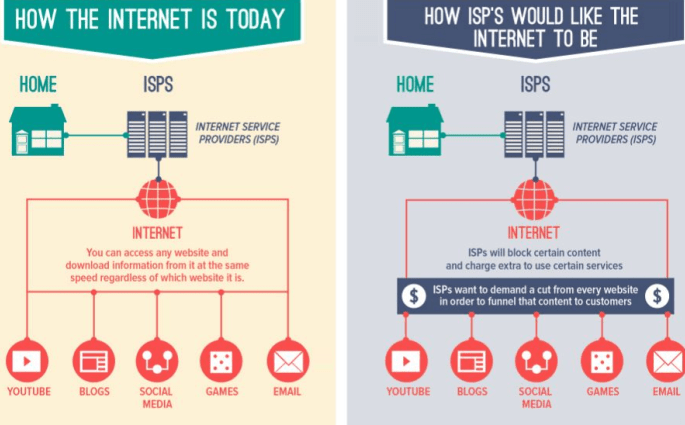 But without the regulations that enforce Net Neutrality, ISPs would be able to offer easier, quicker access to certain sites and apps willing to pay for the privilege, and slow down or hobble access to sites not willing to pay additional fees to ISPs. In other words: Faster Fox News. Slower Real News. Americans are slowly loosing their freedom, and it’s a great tragedy.